It seems like iOS 12 will include Live Listen, which is an accessibility feature for Apple’s wireless AirPods. It will enable AirPods’ users to leverage the mic in their iPhone to better hear in noisy environments. Below are all the important details. 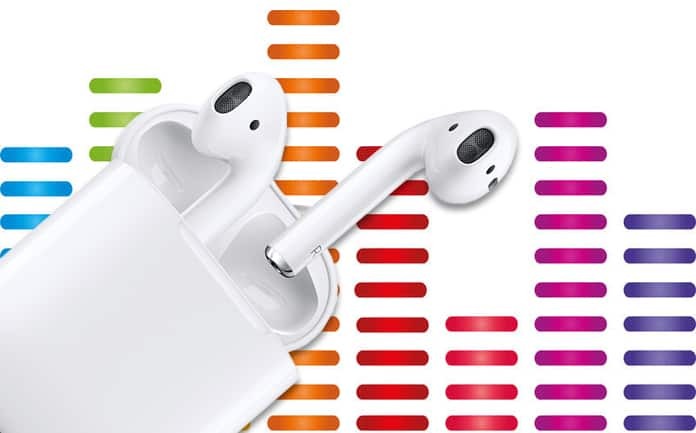 What Exactly Is Live Listen for the Wireless AirPods? Simply put, Live Listen is a feature that converts your iPhone/iPad into a unique microphone that can be used with the AirPods. Before, the feature was reversed for iPhones especially made for hearing aids. However, the upcoming iOS update will add the feature for AirPods. It functions through the internal microphone of an iDevice to reinforce the sound levels reaching users’ earbuds. In iOS 12, which is anticipated to arrive in Fall, people will be able to utilize the Live Listen feature with the handy AirPods. They just have to put their iOS device close to an audio source, and then they’ll be able to clearly listen conversations in a noisy place. Additionally, certain filters for many different scenarios can be utilized through iOS settings. Plus, it’d be possible to leverage utility shortcuts for deactivating and activating Live Listen. Users can even select the left ear for outdoor hearing and the right one for indoor sounds if they prefer. Configuring Live Listen for AirPods is pretty straightforward. You just have to pair the wireless headphones and touch one button inside iOS settings. 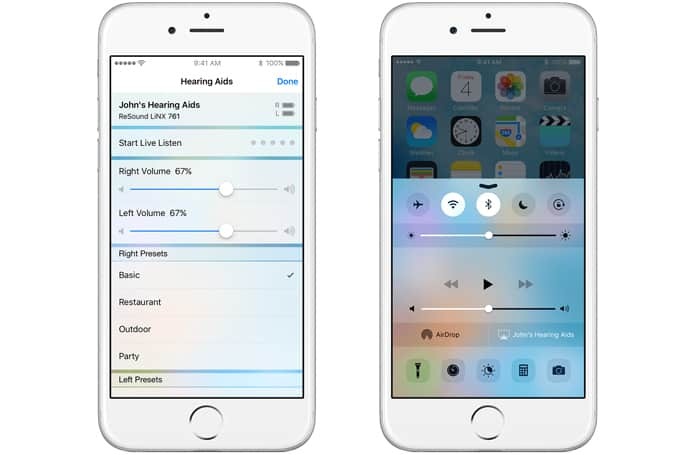 With iOS 12 firmware, the control panel can also accommodate a hearing shortcut, which makes it easy to access Live Listen. Here’s what you need to do. Pair AirPods with an iOS device and then launch Settings on the iDevice. 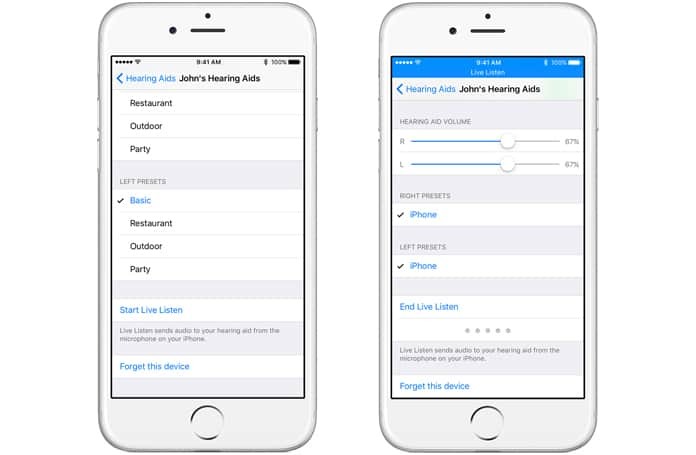 Head to General – Accessibility – Hearing Aids, then tap Apple AirPods. Choose the relevant Right and Left ear presets. With this configuration, you’ve set up individual ear volume along with various filters that are location-dependent. Some examples include Party, Basic, Restaurant, and Outdoor. 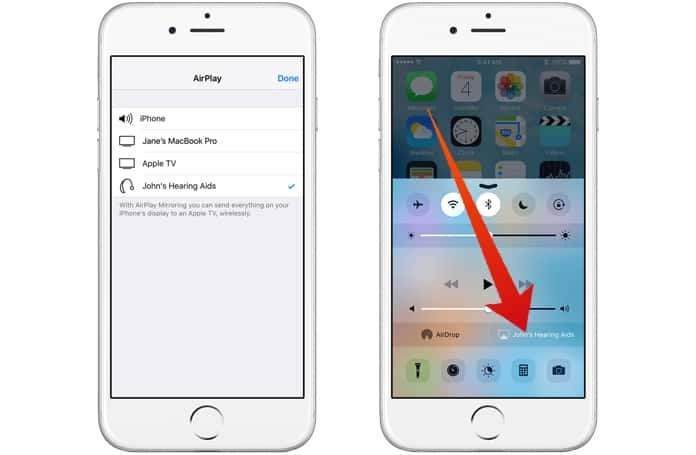 The iOS accessibility shortcut can be used to easily access Live Listen. When that’s activated, you can just tap Home button thrice to enable Live Listen. Open Settings on your iDevice. Go to Lock Screen and Switch on the Live Listen Control. Moreover, you can put Live Listen on the control panel of an iDevice for an option route to quickly enable the feature. For doing so, follow below mentioned steps. Head to Control Panel, then open “Customized Controls”. Put Hearing to the Control List and modify placing as preferred. That way, you’d be able to access Live Listen when you swipe up from your screen’s bottom (or if you have an iPhone, swipe down from its top right). Some people can face problems with new iOS features. That can be irritating if you’re dependent on such technologies for improved hearing. If you find it difficult to get Live Listen to work properly, follow these helpful tips. Bluetooth gadgets can disconnect with an iPhone just when they’re needed. If you struggle to enable Live Listen, go to the connected device’s Bluetooth Setting and see if the AirPods are properly connected. If they’re not, follow the usual pairing method to connect them to your iDevice again. Several of us have technology around us. If you happen to be tech-savvy, know that it is easy to accessibly transfer audio signals to an unintended gadget. To see where Live Listen is headed to, launch Control Panel on iDevice to see what accessory is marked. It’s beside the AirDrop button. If it’s a different accessory than the one you intended, touch its name, and choose your relevant AirPods or hearing aid instead. If you still can’t activate Live Listen, technical support might be needed. Overall, Live Listen is a great upcoming feature for iOS device. We’re pretty excited about it. Are you? Feel free to leave comments.